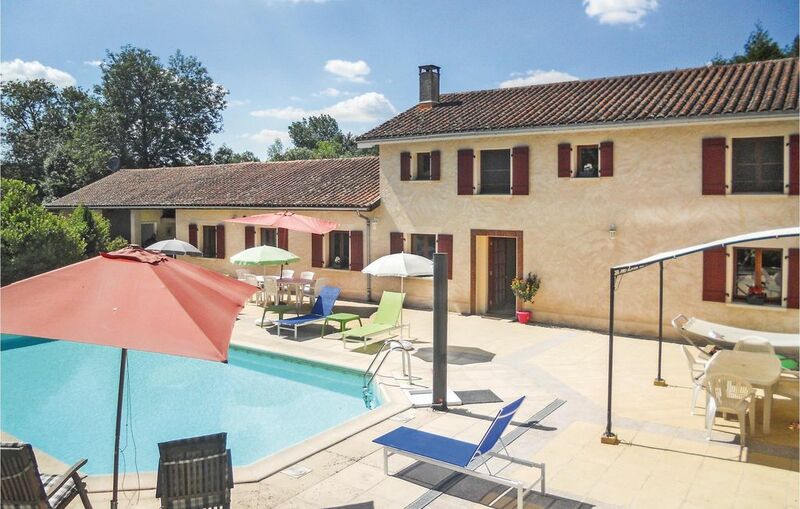 A recently restored holiday cottage set within the owners' grounds and surrounded by the beautiful countryside of the Northern Dordogne. Renovated to a very good standard with generous rooms and quality furnishings, this is an ideal base for a relaxing family holiday. There is a large outdoor swimming pool, terrace and a garden area exclusive to guests. The nearest town is Verteillac for shops and restaurants and the popular market town of Riberac with its twice weekly market. Visitors will find much to see and do and the towns of Bergerac, Sarlat and Brantome are all worth a visit.